“A rose by any other name would smell as sweet” is a famous dialogue from William Shakespeare’s Romeo and Juliet. Roses are one of the most beautiful creations and the symbol of love, friendship and care. Humans always have craving for making new and better things. This craving gives rise to inventions and hence patents. Apart from different technical fields, we have another category in patents that is ‘plant patents’. U.S grants plant patent to an inventor for any distinct and new variety of asexually reproducing plant. Roses are the favorites of the inventors and therefore maximum number of plant patents is for roses. USPTO has granted more than 3,000 patents for rose since 1930s. One can search for plant patents on PatFT and AppFT databases on the USPTO website with the help of patent numbers and PLT classes. USPTO has different classification system for plant patents in which patents are first categorized by the type of plant (e.g., rose or fruit), then by different characteristics like habit (shrub or hybrid tea for rose) and may be sub classified further (e.g., color for a type of rose). PLT classes can be accessed through the link here. 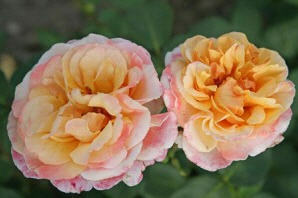 Also, the first US Plant patent was granted for a champagne colored rose “New Dawn” in 1931. WHITE ROSE is a beautiful cultivar which symbolizes purity and innocence which is usually given on a new beginning or a farewell. 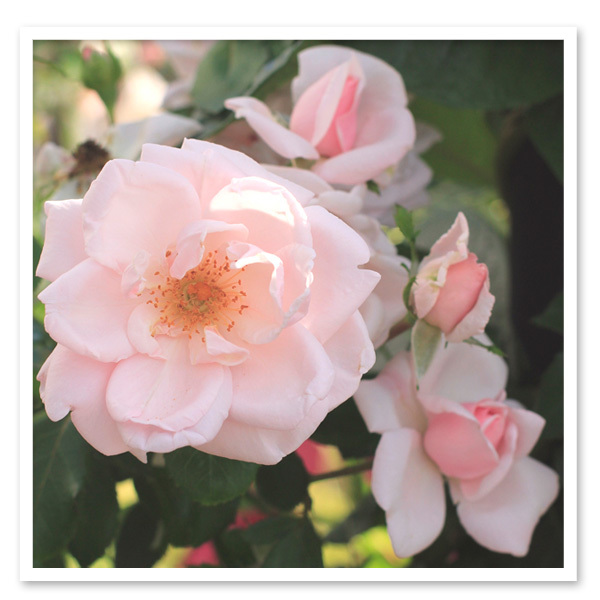 There are approximately granted 224 patents available on USPTO for white roses under different categories of shrub, climber, miniature, super miniature, grandiflora or hybrid tea and floribunda or polyantha. 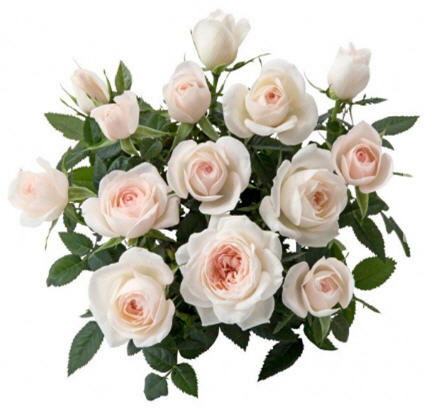 Maximum number of patents for a white rose falls under the category of ‘grandiflora or hybrid tea’ i.e., 60 and minimum number of patents falls under the category of ‘super miniature’ i.e., 6. 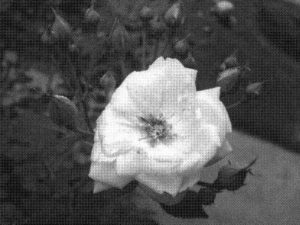 The earliest patent available for a white rose was granted in 1976 with the patent number USPP3844 titled ‘Miniature Rose Plant’. The novelty of the patent was characterized by the double white flowers. The latest patent available for a white rose was granted in April, 2018 with the patent number USPP29166 titled ‘Floribunda Rose Plant Named JAJchel’ with the characteristics of excellent heat tolerance, strong disease resistance to black spot, continuous flowering throughout the year long south Texas growing season, double to very double medium sized flowers that are borne singularly and in prolific clusters of five or more all year long, creamy white ovoid buds that opens to form an imbricated corolla when semi-mature. YELLOW ROSE is related to the sun and therefore appropriate for cheering up people. The color symbolizes friendship, feeling of joy and a message of appreciation. There are approximately granted 400 patents available on USPTO for yellow roses under different categories of shrub, climber, miniature, super miniature, grandiflora or hybrid tea and floribunda or polyantha. Maximum number of patents for a yellow rose falls under the category of ‘miniature’ i.e., 113 and minimum number of patents fall under the category of ‘super miniature’ i.e., 11. The earliest patent available for a yellow rose was granted in 1976 with the patent number US PP3975 titled ‘Rose Plant’. The rose plant is characterized by its superior bud form, flower color, and it’s harder and most lustrous foliage compared to its seed parent. The latest patent available for a yellow rose was granted in April, 2018 with the patent number USPP29165 titled ‘Hybrid tea rose plant named KORoligeo’ with the characteristics of upright growth habit, medium green and semi-glossy foliage, excellent resistance to common rose diseases, and large, very-double pale yellow flowers borne in small clusters. The plant is propagated by stem cuttings and grafting. Also, ‘KORoligeo’ has been awarded first prize in the category hybrid tea by World Federation of Rose Societies in June 2012. 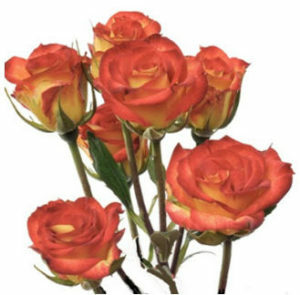 ORANGE ROSE is a hybrid of yellow and a red rose and hence symbolizes mixed feelings. These charming orange rose represents love emerging from a friendship. There are approximately 147 granted patents available on USPTO for orange roses under different categories of shrub, climber, miniature, super miniature, grandiflora or hybrid tea and floribunda or polyantha. Maximum number of patents for an orange rose falls under the category of ‘miniature’ i.e., 48 and minimum number of patents fall under the category of ‘super miniature’ i.e., 4. The earliest patent available for an orange rose was granted in 1976 with the patent number USPP3909 titled ‘Climbing Rose Plant’. This rose plant is characterized by its height of 6 to 8 feet when matured and by habit of bearing its flowers on stems which grow as laterals from the climbing canes. The latest patent available for an orange rose was granted in April, 2018 with the patent number USPP28930 titled ‘Compact floribunda rose plant named Poulpal068’ with the characteristics of abundant orange blend flowers, disease resistance, and extended period of bloom resulting uniform and stable generations from asexual propagation. SALMON ROSE is a slightly pink shade of orange and it symbolizes enthusiasm, desire and excitement. There are approximately 122 granted patents available on USPTO for salmon roses under different categories of shrub, climber, miniature, super miniature, grandiflora or hybrid tea and floribunda or polyantha. 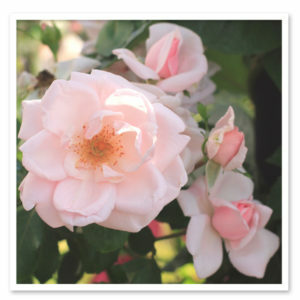 Maximum number of patents for a salmon rose falls under the category of ‘grandiflora or hybrid tea’ i.e., 41 and minimum number of patents fall under the categories of ‘super miniature’ and ‘climber’ i.e., 6. The earliest patent available for an orange rose was granted in 1976 with the patent number USPP3829 titled ‘Rose Plant’. This rose plant is characterized by the unique combination of and abundantly branched habit of growth, vigorous growth, abundantly double flowers of shrimp red which are approximately 2.5 to 3.0 inches in size when fully opened, having very little fragrance. 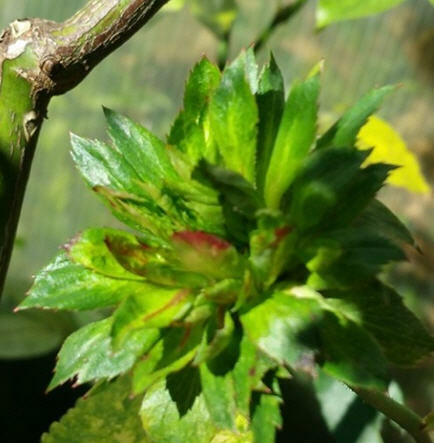 The latest patent available for an orange rose was granted in February, 2018 with the patent number USPP29041 titled ‘Miniature rose plant named KORaroma03’ characterized by the combination of a compact and upright growth habit, a moderately vigorous rate of growth, very good resistance to Botrytis and powdery mildew rose diseases, panicles bearing two to four cream apricot flowers, double flowers, and flowers with a strong classic rose fragrance. PINK ROSE is a multipurpose rose that symbolizes grace and elegance and can be given as a token of admiration and appreciation. 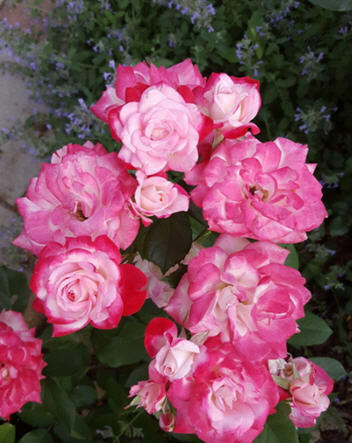 There are approximately 693 granted patents available on USPTO for pink roses under different categories of shrub, climber, miniature, super miniature, grandiflora or hybrid tea and floribunda or polyantha. Maximum number of patents for a pink rose falls under the category of ‘miniature’ i.e., 184 and minimum number of patents fall under the categories of ‘super miniature’ i.e., 13. The earliest patent available for an orange rose was granted in 1976 with the patent number USPP3825 titled ‘Rose Plant’. This rose plant is of the floribunda class and characterized by the unique combination of its large glossy foliage, relatively fewer thorns than Bridal Pink, smooth stems, glossy petals of light carmine rose, and productive growth as a cut flower cultivar when grown in a greenhouse. The latest patent available for an orange rose was granted in April, 2018 with the patent number USPP29212 titled ‘Rose plant named RNF PINK 01’ having a strong fragrance and deep pink-colored flowers. RED ROSE often find place in poetry as a beautiful expression of love, heartfelt regret and sorrow. Red rose count has special meaning associated with it, for example, 12 red roses conveys “Be mine” and “I love you”. There are approximately 621 granted patents available on USPTO for red roses under different categories of shrub, climber, miniature, super miniature, grandiflora or hybrid tea and floribunda or polyantha. Maximum number of patents for a red rose falls under the category of ‘miniature’ i.e., 180 and minimum number of patents fall under the categories of ‘super miniature’ i.e., 20. The earliest patent available for an orange rose was granted in 1976 with the patent number USPP3824 titled ‘Rose Plant’. 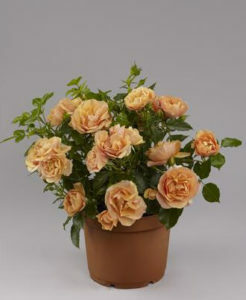 This rose plant is of the floribunda class and characterized by the unique combination of vigorous, compact plant habit, abundant, large foliage, an orange red flower color. The latest patent available for an orange rose was granted in April, 2018 with the patent number USPP29235 titled ‘Miniature rose plant named Poulpah090’ characterized by abundant, red flowers, disease resistance, extended period of bloom and attractive foliage. 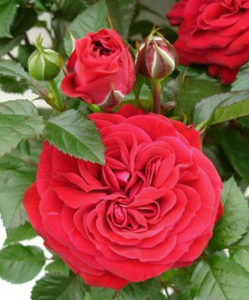 Red Bicolor Rose adds interest and delicate beauty to a flower arrangement. There are approximately 61 granted patents available on USPTO for red bicolor roses under different categories of grandiflora or hybrid tea and floribunda or polyantha. Maximum number of patents for a red bicolor rose falls under the category of ‘grandiflora’ i.e. 41 and less number of patents fall under the categories of ‘floribunda’ i.e. 20. The earliest patent available for an orange rose was granted in 1976 with the patent number USPP3956 titled ‘Rose Plant’. This rose plant is of the floribunda class and characterized by the unique combination of vigorous, well branched growth, its bicolored flowers of mottled carmine on upper face and Chinese yellow on lower face, with abud and flower form similar to those of the cultivar peace, and little or no fragrance. The latest patent available for an orange rose was granted in November, 2017 with the patent number USPP28661 titled ‘Floribunda rose plant named Meiriansois’ characterized by continuous basis attractive red and white very double blossoms. Mottled, Multiple, or Striped Color Roses are the most lovable of all. 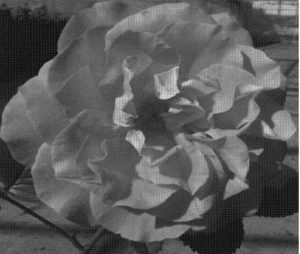 There are approximately 151 granted patents available on USPTO for striped roses under different categories of grandiflora or hybrid tea and floribunda or polyantha. Maximum number of patents for a striped rose falls under the category of ‘grandiflora’ i.e. 108 and less number of patents fall under the categories of ‘floribunda’ i.e. 51. The earliest patent available for an orange rose was granted in 1976 with the patent number USPP3845 titled ‘Rose Plant’. This is a hybrid tea rose plant characterized by the resistance to mildew, blooms which have a bi-colored effect of orange-salmon on theupper petal surfaces and off-white lower surfaces margined with orange-salmon. The latest patent available for an orange rose was granted in March, 2018 with the patent number USPP29044 titled ‘Rose plant named ESM R202’ characterized by yellow-colored flowers with light red-colored margins that are held on strong and long flowering stems within relatively large sprays. This is all about roses which are covered under the plant patents. 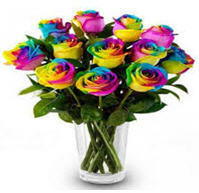 But there are more differently colored roses which are not covered by plant patents because their method of production is different from asexual reproduction. Flowers have different colors because of the presence of two major pigments: flavanoids and carotenoids. Particular flavanoids give pink-red colors and particular carotenoids give yellow-orange colors. Plants can bloom roses in colors ranging from white to yellow to orange to red to pink, depending on the genes that make up the genetic pool of the plant. There are pigments that do not occur in roses naturally, for example a pigment called delphinidin which is responsible for blue color in flowers. In 2004, a patent US6774285 was issued to Florigene for genetically producing a blue rose by inserting the blue pigment gene into a white rose. 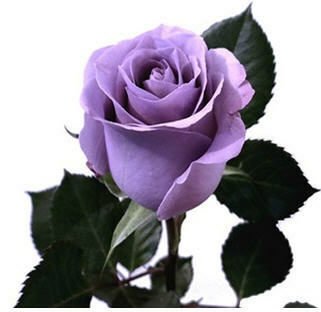 Hence the gene expression allowed the plant to bloom blue colored roses but the color was actually close to lavender pale mauve color. It is because the rose petals are acidic in nature and therefore the true blue color doesn’t come through clearly. Another company which got patents issued for the production of blue roses is Suntory. The one of the oddest rose exists in the nature is the ‘green rose’. It is thought to be a chance genetic mutation which brought the rose into existence. Rosa chinensis ‘Viridiflora’ (also known incorrectly as Rosa chinensis var. viridiflora) is the one. There is an abnormal process called phyllody that occurs in plants. Phyllody is the abnormal development of floral plants where leaf-like organs take place of some or all of the organs like sepals, petals, androecium or gynoecium. How does the mutation occur in flowers? Flower development is controlled by ‘floral organ identity genes’ which mostly belongs to the class MADS-BOX gene family. If anyone of these genes does not express properly due to some transcription error or mutation, the resulted flower will be a mutated one. Is black rose a myth or reality? It is believed that there is a place in Turkey, Halfeti where a rare true black rose grows naturally and cannot be grown anywhere else in the world because of the specific environment (weather, soil, water, ingredients, etc.) in the Turkish village. 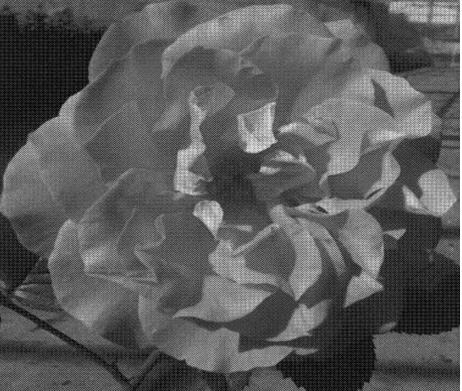 But according to scientists there is nothing such thing called ‘true black rose’ because black means absence of light and no flower can absorb all the light to reflect nothing. For a rose to be black, it must have pigments for red, blue and green. 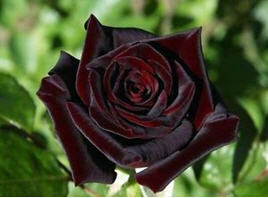 Now, what actually exists is a ‘nearly black rose’ which is a deep shade of red, maroon and purple. Some of the examples are Black Jade, Black Magic, Black Beauty, Black Baccara, Midnight Blue Rose and so on, which are produced by repeated cross pollination of darker offsprings. Do you want to have a rose of a color of your choice or pure black or pure blue rose? You can have one. All you need is floral paints, dyes, a rose and glass of water.